Bhubaneswar: While it is not mandatory anymore that your Aadhaar Card is linked with your mobile numbers or bank accounts, but that does not reduce its importance. The whole KYC gets simplified because of the Aadhaar card. And what would you do if you have lost yours? In this article, we will be talking in detail how you can re-issue your lost Aadhaar card. Before moving on, first of all, we must know that An Aadhaar card is a unique number issued to every citizen in India and is a centralised and universal identification number. 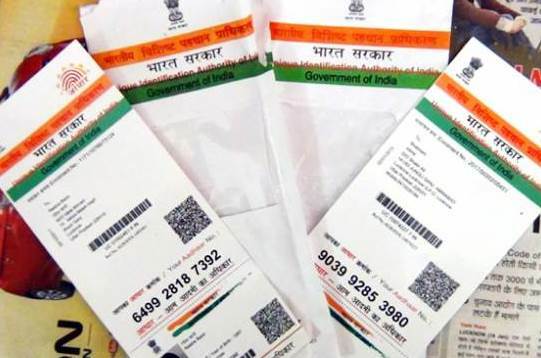 The Aadhaar card is a biometric document that stores an individual’s personal details in a government database and is fast becoming the government’s base for public welfare and citizen services. Now, if you have lost yours, one can get his/her Aadhaar card reprinted by paying a nominal fee of Rs 50 (inclusive of GST and speed post charges). The reprinted Aadhaar letter will be handed over to India Post within 5 working days to be delivered to your registered address via speed post. Step 1: Go to uidai.gov.in. Step 3: A new tab will open on your computer screen. You will be required to enter your 12-digit Aadhaar number or 16-digit VID number and security code. If the mobile number is not registered against your Aadhaar number in UIDAI’s database, then select the box to indicate this. If the mobile number is registered against your Aadhaar number, then click on ‘Send OTP’. Step 4: An OTP will be sent to your registered mobile number. Remember this OTP is valid for 10 minutes only. Step 5: Enter the OTP and select the box agreeing to ‘Terms and Conditions’. Click on Submit. Step 6: Once the correct OTP is entered, you will be able to verify your Aadhaar details (Only if the mobile number is registered in the Aadhaar database). Check if the Aadhaar details reflecting on your computer screen are correct. In case the details mentioned on your computer screen are inaccurate or missing, you will be required to visit nearest the Aadhaar Seva Kendra to get the details corrected. Step 7: Once the Aadhaar details are verified, click on the ‘Make Payment’ option. You will be redirected to the payment gateway. Step 8: You can make the payment via credit card, debit card, Net banking or UPI, as per your convenience. Rs 50 will be charged for getting your Aadhaar card reprinted. Enter the payment details and click on ‘Pay Now’.